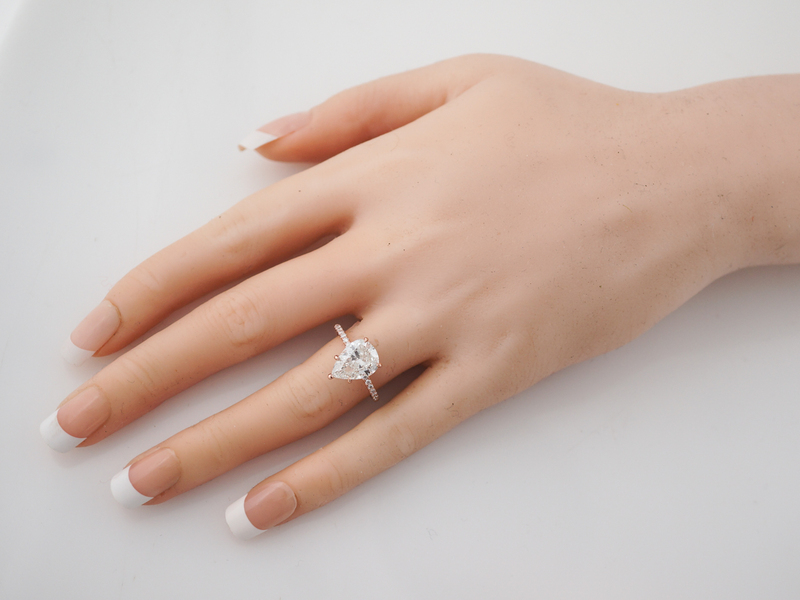 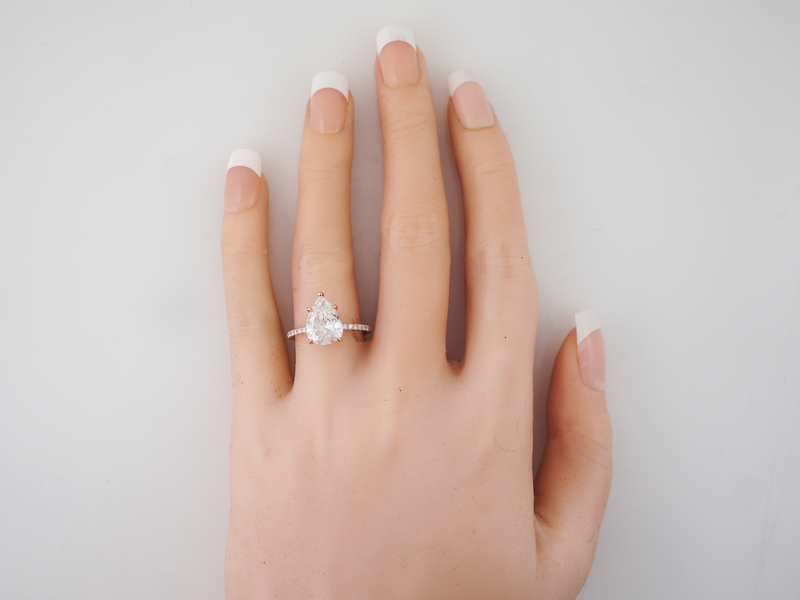 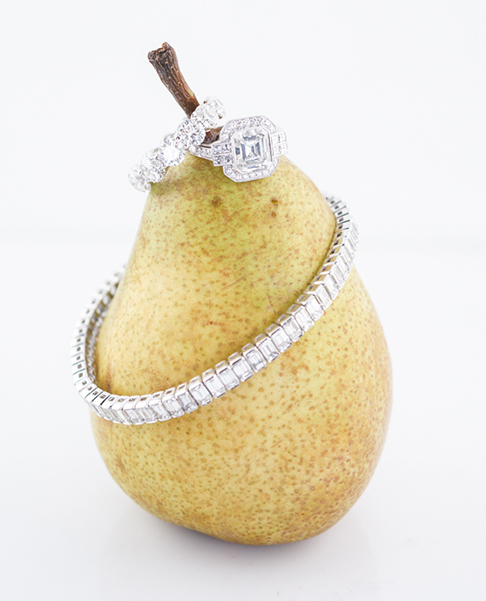 This modern engagement ring keeps things simple and elegant to emphasize the exceptional beauty of the pear cut solitaire. 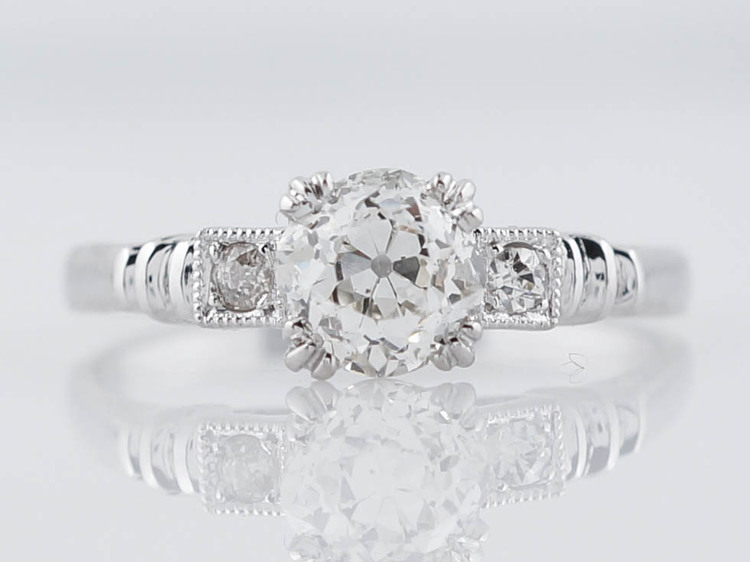 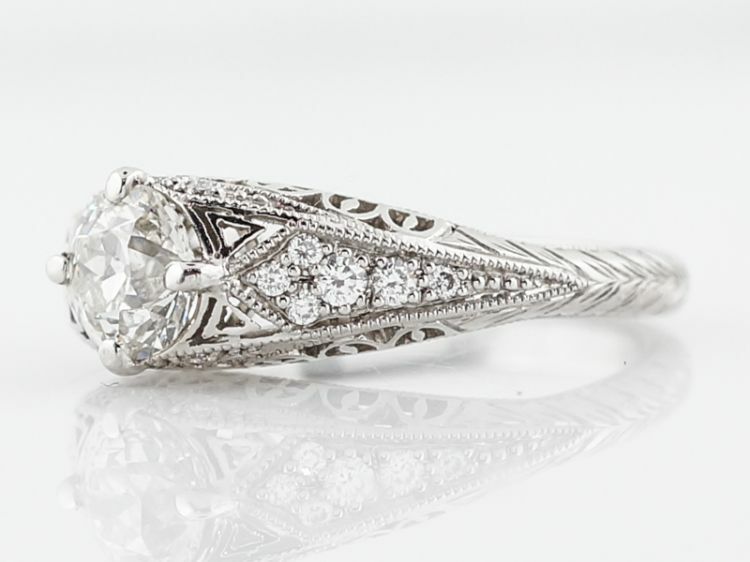 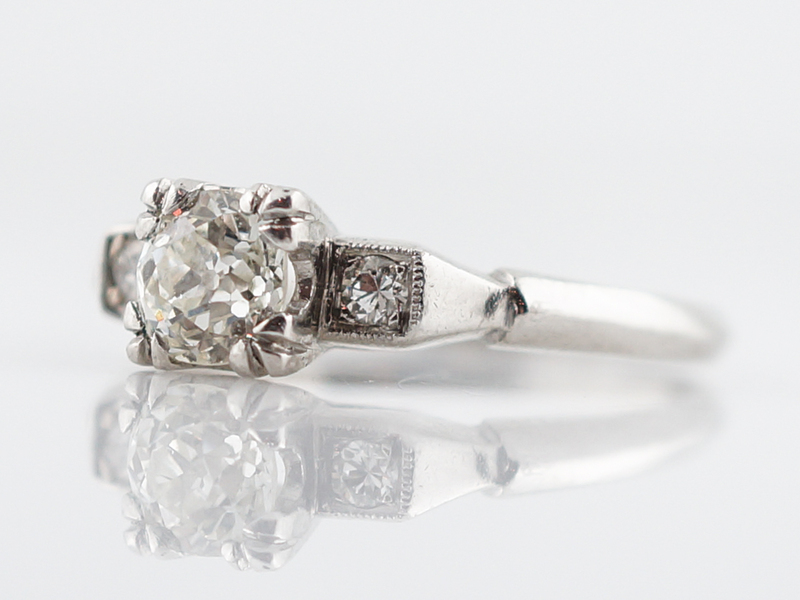 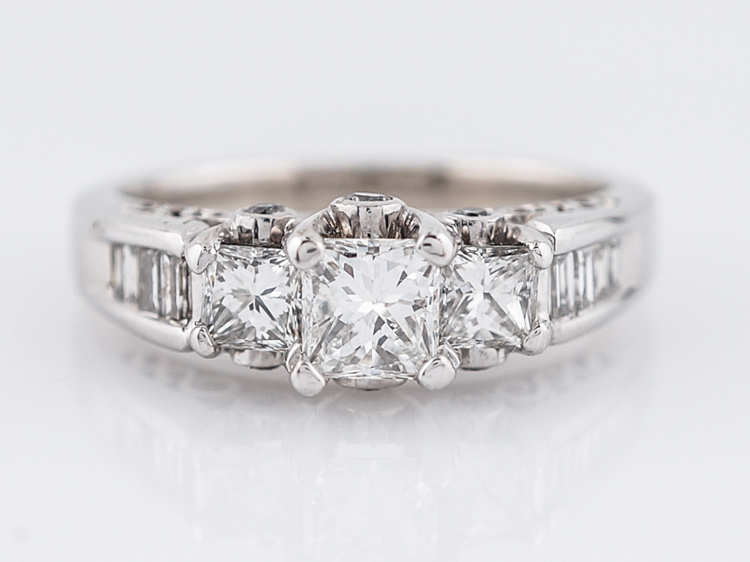 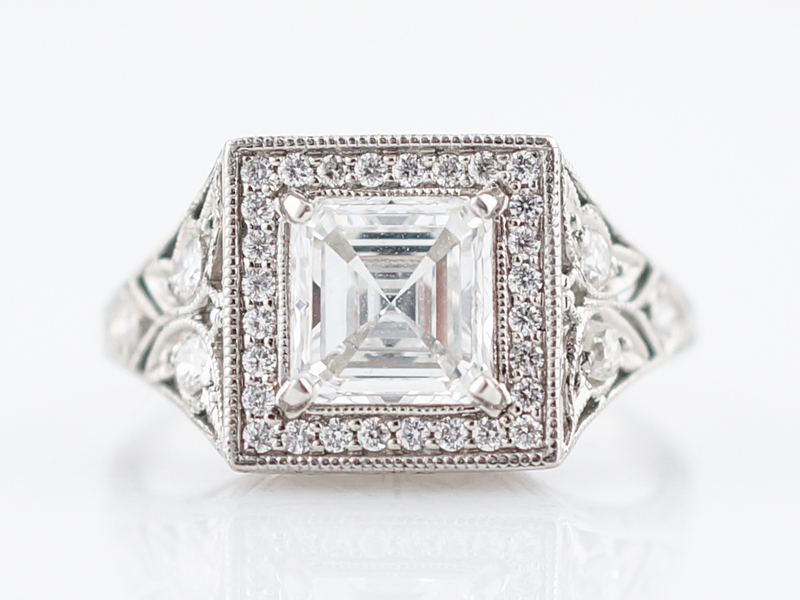 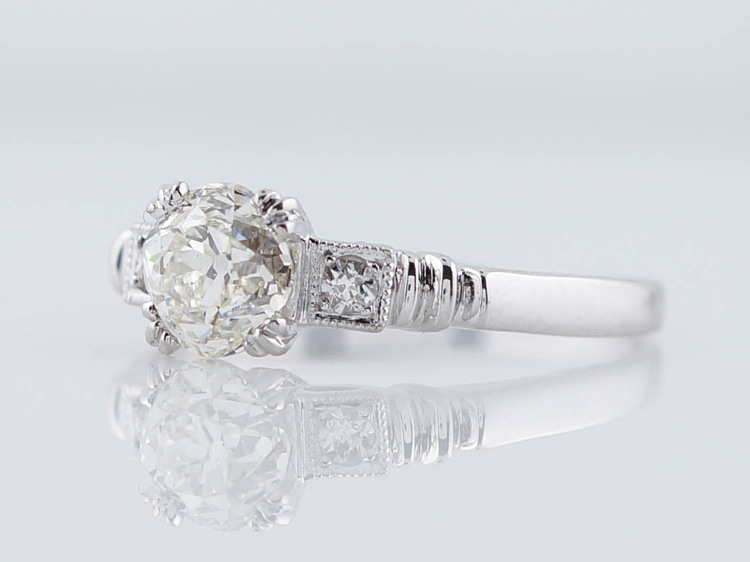 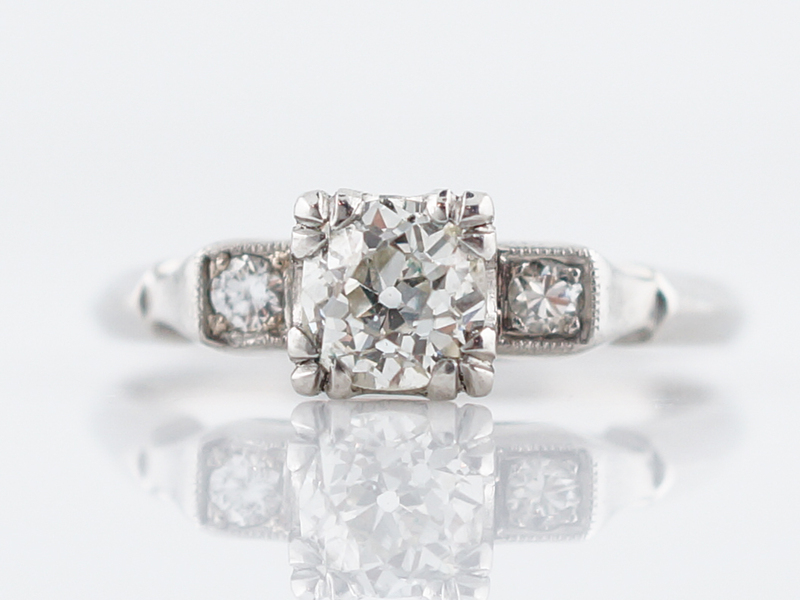 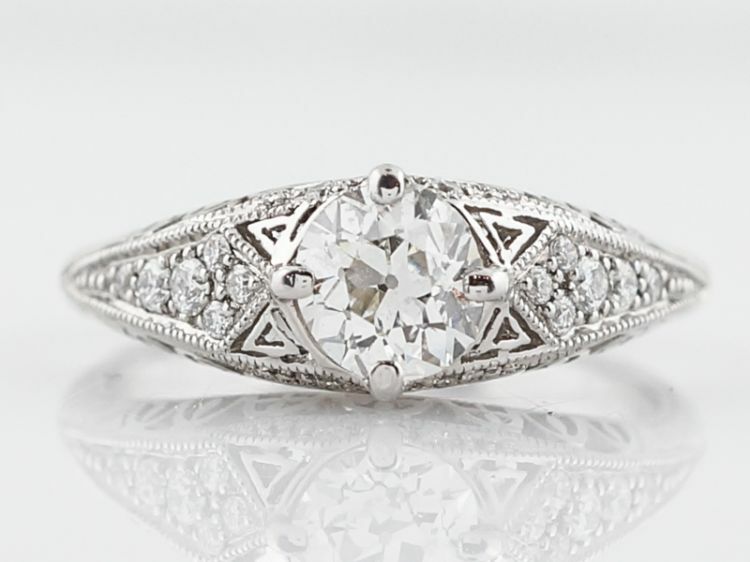 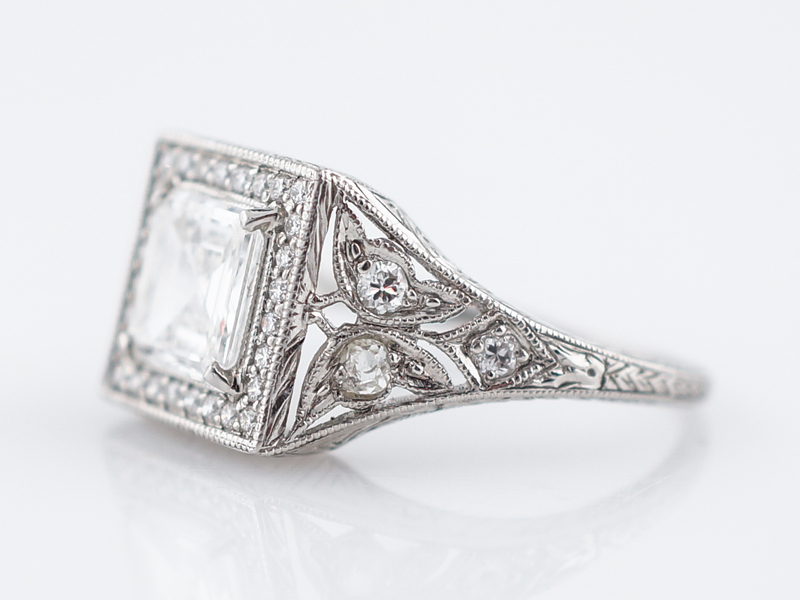 The GIA certified center stone weighs 2.39 carats, is an I on the color scale and is set in place with five (5) prongs. 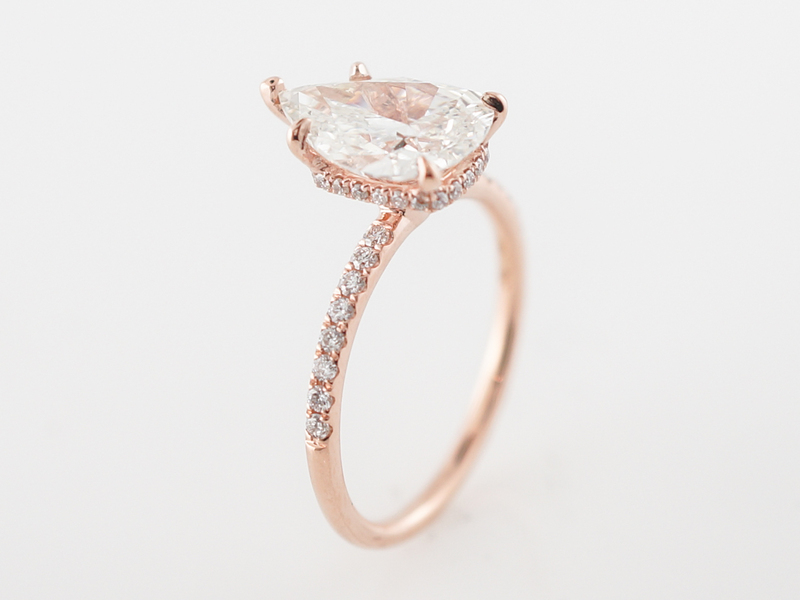 The setting is open to light from all angles and the refraction of light is mesmerizing. 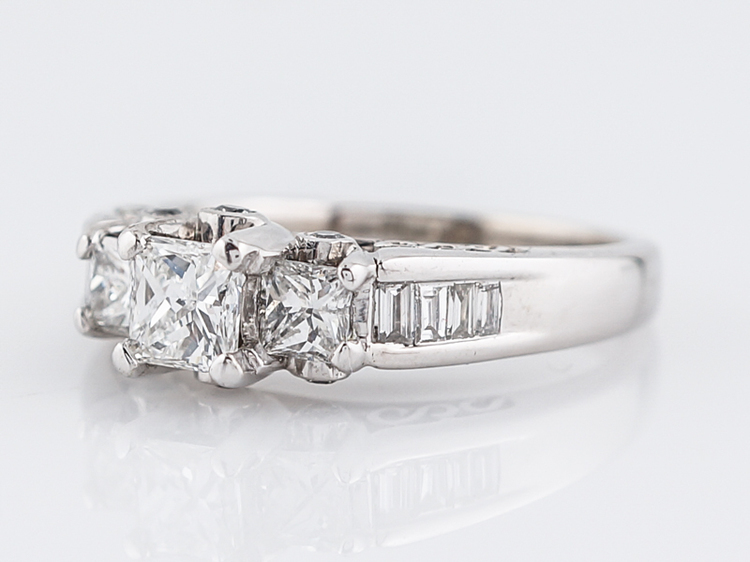 The shoulders are set with round brilliant diamonds further enhancing it’s dazzling sparkle. 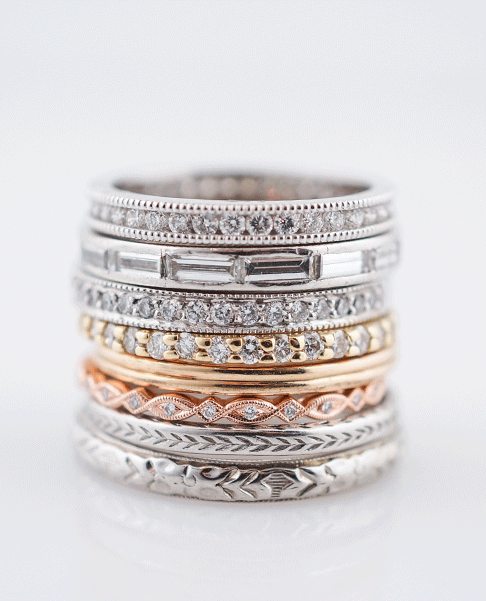 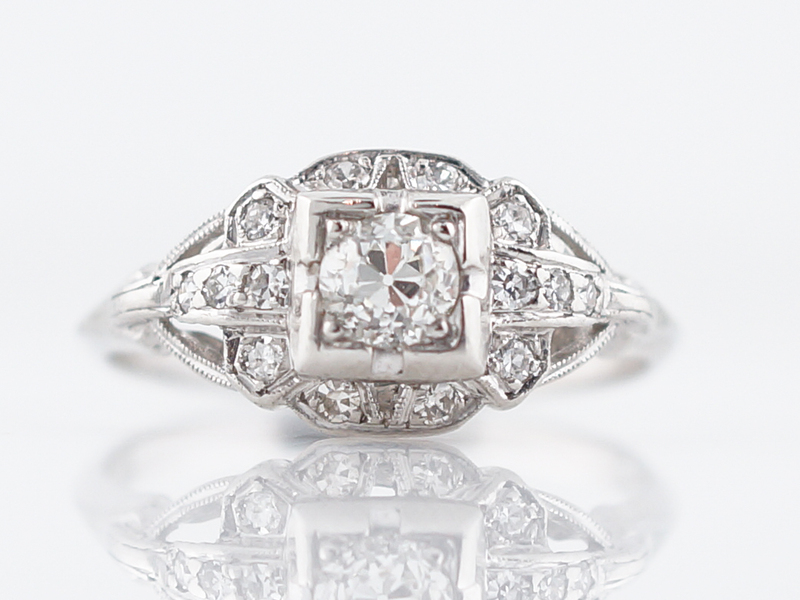 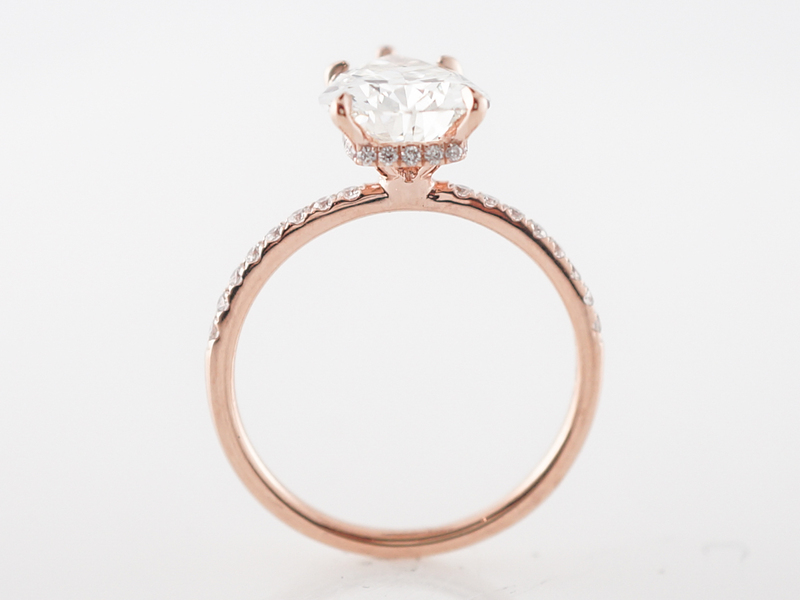 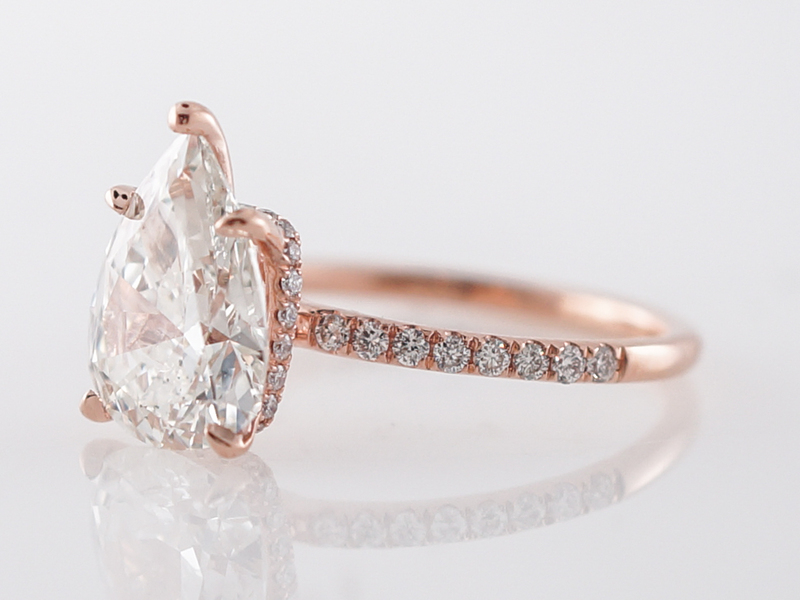 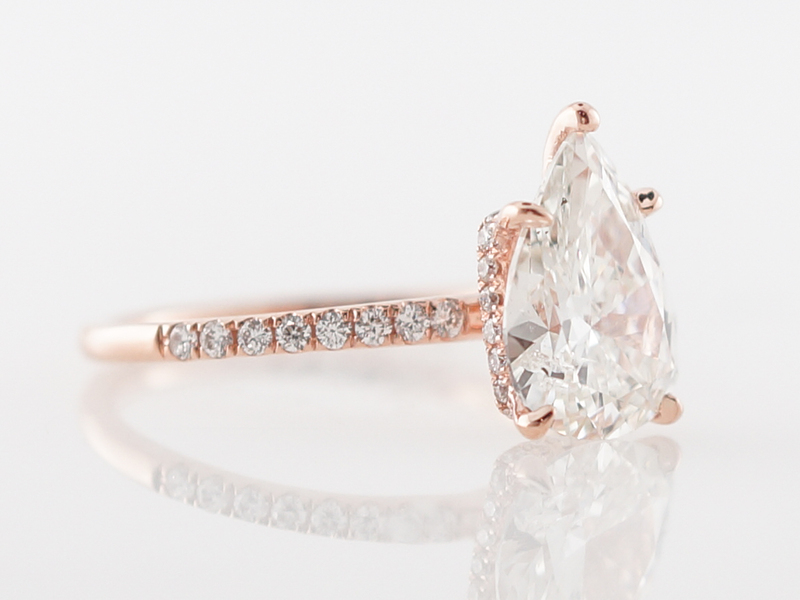 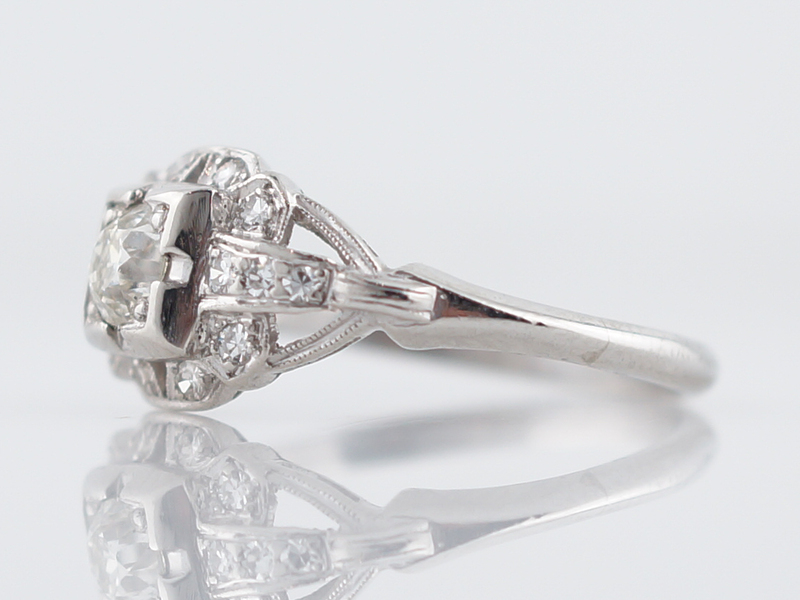 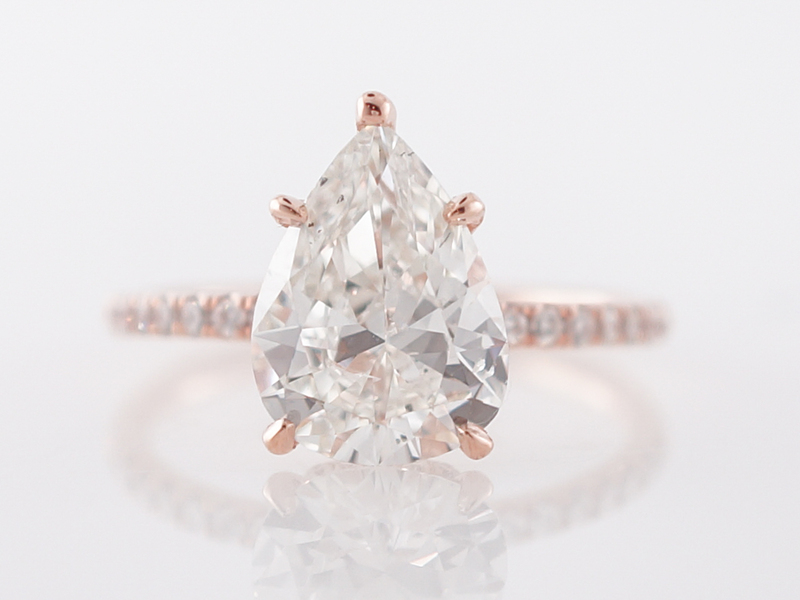 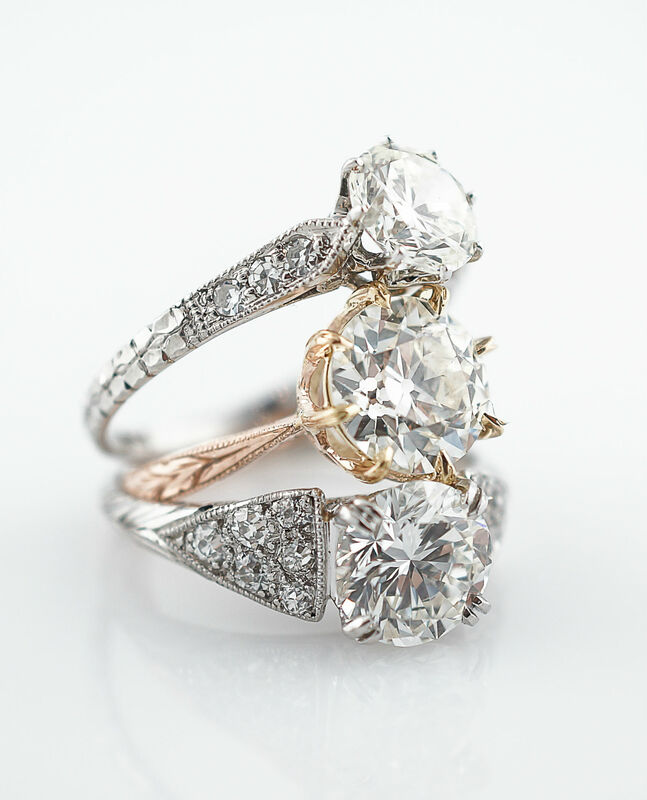 This engagement ring finishes in 14k rose gold for an added touch of romance.